What Route Should You Go? We all want to feed our cats the best diet possible, but there is a dizzying array of options out there. What’s the best option for your feline friend? We’ve put together some tips to help you decide. The first choice to be made is between buying ready-made cat food (wet or dry), or making your cat’s meals yourself. 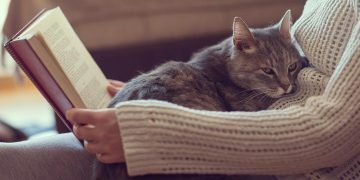 If you want to go the DIY route, you will need to provide your cat with a mix of protein and carbohydrates, and ensure they get all the vitamins and minerals they need. There has also been a move towards feeding cats and dogs a raw food diet. However, there are many things you need to watch out for if you go this route, so make sure you do your research first. Cat food is usually labelled as either a ‘complete food,’ which means it includes all the dietary requirements for your cat, or a ‘complementary food,’ which means it might not. Therefore, if you choose a complementary one, you will need to supplement with a ‘complete food’ to make sure your cat remains healthy. Cats must eat meat to survive, and are known as obligate carnivores. Cats also require something called taurine, which is a nutrient found in meat that usually has to be specifically added to food for cats. Branded cat food is available for many different prices, and goes from a basic range up to premium. While price is often a good indicator of quality, sometimes things are not quite as you would have expected. Therefore, it’s always important to read the ingredients. The protein element is the most important for cats, and the type of carbohydrate included should be considered carefully. Cats will sometimes have trouble digesting carbohydrates, and can trigger food allergies. Wet food often has a lower percentage of carbs, but dried food depends on them to bind it together. One thing many experts recommend is to restrict grains in your cat’s diet, or even remove them altogether. Corn and wheat are the biggest issues, which many cats are allergic to. However, they are often included as a cheap filler ingredient. Alternatively, look for foods that include carbohydrates such as green peas, sweet potatoes, or potato starch. 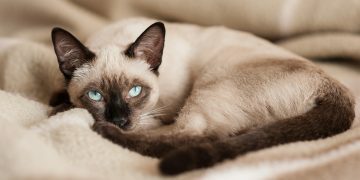 Siamese cats are one of the oldest recognized breeds in the world. They are informally referred to as the "royal cats of Siam," now Thailand. Many owners choose to feed their cat organic food to give them the healthiest option available. In the USA the Department of Agriculture defines organic as the way a crop or livestock is raised and handled. Crops that are labelled organic must be grown on land that has been free of pesticides for at least three years. In addition, it’s important to remember that foods labelled as organic may not contain only organic ingredients. There are four different options when it comes to labeling organic food. You will need to decide what level is acceptable for your cat, and what fits your budget. It’s always a good idea to offer your cat a variety of food. 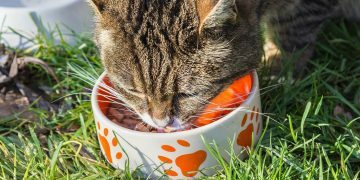 Wet food can be fed at mealtimes, and dry food can be left as an alternative if you are away from home during the day. With dry food it’s also important that your cat is encouraged to drink water, so always leave a fresh supply. You can also supplement your cat’s diet with fresh meat if you can spare some from your own meals. A treat of fresh chicken or turkey will always go down well. If you choose a specific brand of cat food, feed them a variety of flavors as you don’t want them becoming picky about a single flavor. The earlier you can start adding variety to their diet, the happier they will be. The important thing is to not get too caught up with all the different options. Always check the labels for the best quality ingredients you can afford, and the closer you can make your cat’s diet to what they would eat in the wild, the better.